(But as always in such contacts -"they" were not allowed to give too convincing proofs - the ripe one will recognize this INSIDE oneself when ready and ripe. (TIP: this long article will be easier to read, at least on widescreens, with bigger txt - use CTRL + or by clicking on equivalent A upper right corner and adjust as shown on B below making txt width more narrow ) It may be txt/word-mistakes, not fixed in this doc. 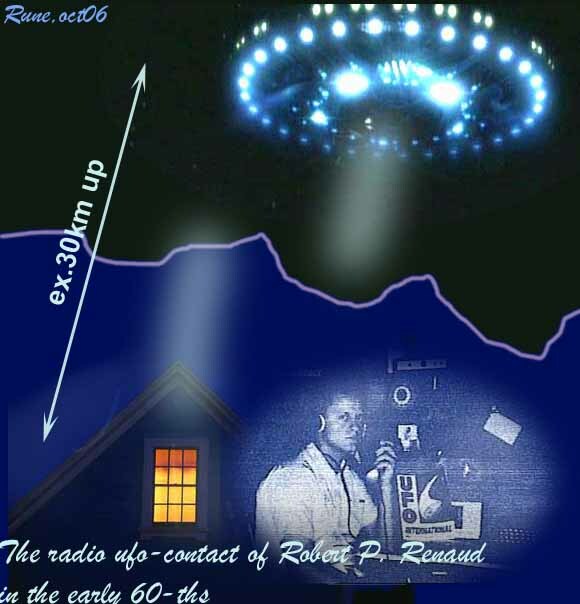 The Korendians made contact with Bob Renaud in July 1961 as he was trying to pick up BBC Radio on his short wave set. 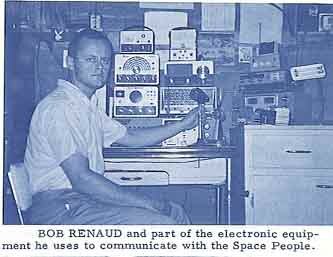 Robert P. Renaud, an 18 year old Ham Radio Operator - working for General Electric - a electronics wizard and inventor, living in his parents home, in his basement bedroom converted to his studio-laboratory, picked up a strange beep high in the 25 meter band that overshadowed BBC. When he tuned in on the beep, it stopped and a clear soft feminine voice greeted him from a spaceship from Planet Korendor. She called him by his first name and said that they had been trying to get his attention before. The Korendians instructed him in how to modify his home built short wave radio set to receive them better. Then after a few radio contacts they helped him to modify his home built TV set to pick up their images on the vidicon tube while he spoke to them on radio.. Those contacts continued and developed into face-to-face meetings and even into going on trips with them, in their craft, for months and years. He kept careful notes on his contacts. This case is not well known in the USA. Like many other contactcases studied/investigated, also this case includes closely monitoring /surveillanc from the "hidden power behind" (the shadow government-people) – who obviously interrupted his mail. Same happened to the mail to Meier (the semjasecontacts) in Switzerland in the 70ths -where "they" had forced the local postoffice to let "them" filter his mail and such sanction the return-films from the development-laboratory and like. Once they disclosed it clearly seen by the film he got back – it was mirrored, seen by the filmlayer. So "they" had kept the originals and he got only copies back, but they had been careless to make mirrored ones. In the same way they changed the pictures of his contactwomen and used this systematic against him many years later. In the case of Renaud here, they had as said, apparently looked through (scrutinized) his mail: when he later wrote and printed a book on his contacts by help of John Dean, they discovered, after it had been printed, that someone had changed astronomical information in it. This apparently done in the intention to disproving him later – to claim him a liar, and so ridiculing him as they use to do in such cases – with good help of the stupid, egoistic press-people – only seeking superficiality. Ca.20 years ago FATE-magazine (march-86, p.52) had an article on this Korendor case written by Allen Griese. He thought when he heard about it - as most others, it all was pure science-fiction. But after meeting Renaud in –67, he didn’t longer believe he was a hoaxer as he wrote "..if Renaud was engaged in fraud, it was obviously an unrewarding task". So Grise visited Renaud at his home and found, as the contactee's writings claimed, a basement room full of electronic equipment, including the television set and the shortwave radio over which the communications supposedly were effected. Grise, an engineer by profession, and ham-radio buff by avocation, found that everything seemed to make sense. The circuits were all appropriate to extend the receiving range. "In other words, if he was getting messages from an aerial source, he had the equipment with which to receive them. "When he wrote these books," Grise recalls, 'it was like his hands belonged to someone else: He'd sit there in front of his typewriter and pay no attention to what was coming out of him. He could be on the phone or talking with me, and all the while his hands are going, producing all this perfectly-typed, clearly-written stuff on alien philosophy. It was just unbelievable." Grise was perplexed by Renaud's attitude: "He showed no signs whatever of wanting to promote himself", he says. "There was no show biz, no snake oil. He didn't even seem much interested in talking. He 'd answer questions, but he wouldn't offer anything. He was hesitant to entertain visitors and he sold nothing, made no money. He said the whole business was imposed on him; he hadn't gone after it". "Renaud has a large collection of tapes allegedly on his space communications: Grise listened to some of them and heard what was supposed to be the voice of the primary contact-woman Lin-Erri. He recalls, "These were good-quality, reel-to-reel recordings. The womens voice had a kind of hesitancy in speech patterns suggesting a foreign person doing well in English. It had s a singsong, melodious quality ." Soon afterwards Renaud broke off their brief association and told him to not to call or visit anymore. He likely understood it was no meaning in trying to convince anyone not ready or spiritually ripe. Yes- soon half a century ago it apparently occurred some direct, physical contacts to our over-seers or "gardeners of earth". On of them were just these contacts of BOB RENAUD. He was a radio-amateur that some night in summer -61 got in a women's voice claming to be from a spaceship around earth. Apparent only a claim - but her further explanations was interesting, and it later evolved to physical contacts, which the common people could not fellow and believe if not having spiritual knowledge beforehand. On this first radiocontact she said they discovered us about two years before. Their interest was aroused by our satellite activity, which they said, indicated an elevated technical level. So they wanted to learn all they could about us. They had tried many times on telepathic contacts as was their normal way- to various people - but in vain. They could not - in the beginning - stay on earth without breathing-help - because they were used to more oxygen in their home-air. They told that they had learned English with a definite Southern California accent, due to the monitoring mostly in that area. They also claimed that there were bases on more of the planets here in our sunsystem -and that they also had co-operation with them. (There is also that possibility that they can adjust their frequency to visit other levels of planetary vibration, but that is not directlytold in these initial contacts.) They had monitored many and found Bob to be a developed kind of man - with interest in space, in world peace, and in the future of mankind. Seemingly he recorded some of the conversations like in the Koldas-contacts in South Africa in 1960- but those to another planetary group - but supposedly synchronised by a "higher federation". And as mentioned above - already in the first contact they instructed him in how to convert his equipment for a better 2waycontact to them. The initial contactperson he talked with, was a lady - as many of the visitors seem to use in the beginning - we are not normally so afraid of women regarding ETs. Her name was Lin-Erri and her home-planets name " Korendor". They said "Korena, our sun, is located at a point in the Constellation Bootes, about 3 degrees from Arcturus on a line between Arcturus and the centre of the M-3 cluster. It is roughly 400 light years distant, and is visible in the larger-aperture telescopes, although it has been given no specific name or number by your astronomers." It was 6x bigger than earth but had lower density that made gravity only 2x ours. Korendor was 3.of 12 in that sunsystem, having 4moons + an atmosphere with more oxygen. They had developed space travel about 3,000 years ago in our time, and using craft as far ahead of ours as we were ahead of chariots. Gravity, magnetics, light, ions, etc powered their craft. These craft were brought from star to star in magnetically driven carriers or "mother-ships", which were literally travelling cities or worlds in themselves. Had learned to use the fourth-dimensional warp, but said it took some years learning to control the course once in this ‘warp’. "Of course there are still a few pilots with less than sufficient experience who start out for Sirius and end up in M-31. Eventually the control of craft will be entirely automatic, where the pilot sets the destination on a series of dials and pushes a button, to arrive there a second later." One of their works here was to oversee the danger of atomweapons and said that earth must disarm or perish! And similar, red as warnings from many of the UFO-contacts through the years: "We have seen other planets follow the same route as you are now travelling. Always it has led to war and to the same racial suicide that you now face." 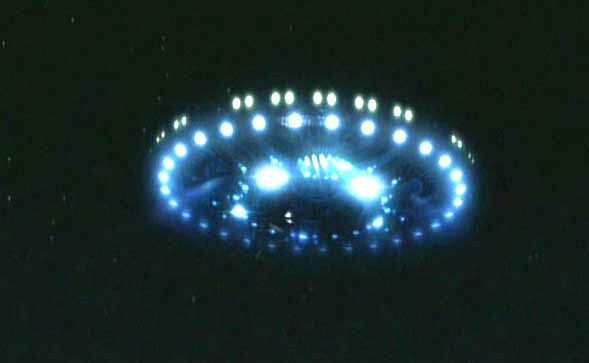 They also believed that many ufoships seen all around the world would cause us to consider as not alone in the Universe, but our governments have only made fear out of this through cover-ups and lies. But they wished that Bob Renaud would succeed in bringing some information through. So 3 weeks later he had built the transmitter-radios ready and 5.aug 2at-night -he got them through again. They told him more on their translator-machine: "The machine is actually a specialized computer, with a memory console, input, output, and the relevant circuits. The input consists of the impulses relayed by our Robot Sensors, which we have planted in various places around your country." "These impulses consist of two components --- the spoken sound and the corresponding mental impression. They are separated by the analyzers’ Discriminator, and fed to two circuits. The first receives the sound impulse and stores it for the moment. The other, the mental impulse section, instantly begins breaking down the image into basic components, and these components of the received telepathic signal are then compared with those in the Machine’s memory banks." "Within a few micro-seconds, the analyzer has found an impulse exactly or nearly exactly like the received impulse. Their combined strength activates a semiconductor relay. This triggers another storage bank in which are all the words in Galingua-Korendian that correspond to the mental impulses in the first memory section. This releases the appropriate word and also the stored English word, and together they are recorded as the output, and are the translations of each other." "The larger unit, received from Korendor, has no memory banks in itself, but is connected by direct SSR line to the Master Language Center’s half-billion word memory network. With this device, there is no word that cannot be translated." "Once we learned the words, it was a simple matter to study your transmissions for proper placement, inflection, pauses, etc." In the 2.contact they also said contactpeople on earth… "who give accounts of tremendous ships, rides to the planets, and talks with the Masters are not average people. Each has been screened carefully, as you were, and chosen for their particular task on the basis of their abilities and belief in the cause of Universal Brotherhood. These people are the modern-day prophets, the media between you and ourselves. They give you information that we feel you must have." They also spoke of the jealousy in the many ufogroups they had been monitoring - and about the religious ideas. And again they said that the governments had no right to conceal their enormous gathered UFO-information, which at one time had to come forward, and meant the feared panic was not the problem. They also claimed that United Nations, Dag Hammerskjold, was contacted three times by Venusians - as also many other world-leaders had been contacted from spacepeople. (Venus' life is not in our vibration/dimension but they can technically or mind-adjust to ours, as I have understood it-R.Ø.rem) They meant we should stand up against war and the weapon-race - and in retrospect one can speculate if all the antiwar/weapon demonstrations world-wide through the decades since this happened actual HAD a purpose. They also gave him time for next radiocontact that happened 19aug2AM. In that 3.contact they linked a speak from a "wiseman/master" on their homeplanet to Bob. He had himself been taken away from his own homeplanet by the Corundor-people, just before his homeplanet "Krystalina" had been ruined in a war with hydrogen-and kobolt-bombs. He said that the communism in the form of dictatorship would collapse in some time here. And…: "What makes a Master? To simplify it a bit too much, one becomes a Master by service to humanity." "In principle, as we will tell you in the next contact, the human mind is a form of energy. When in the body, each mind has a distinct frequency of operation depending on the particular characteristics of that brain which it inhabits. While we do not completely understand it, we know that it has to do with magnetic waves as you call it, electrical, circuit dimensions within the neurons of the brain." "Whenever Somnivision is to be undertaken, a beam is set up from the scout hovering low over home of the person to be impressed, and a relay is begun through it to the mind. Since the frequencies are phased, any modulation on the beam would be considered by the brain as an impulse from the mind itself, and be treated as another thought." "Depending on the strength of this beam, we can cause anything from merely a vague memory of the ‘dream’ to a verbatim recording in the brain. This can be compared to a radio feeding a tape recorder. When the incoming signal is weak and distorted, only occasional snatches of the program are intelligible. As the signal strength increases, more is recorded that can be understood, until, at a high strength, the tape is an exact duplicate of the program." "Perhaps that’s the way I’m able to transcribe their entire conversations, as they told me I would be able to do. When I am ready to write them down, the words just seem to flow, afterwards blank! I can’t write it down accurately a second time. Normally, I might be able to remember portions of a conversation, but to relate an entire conversation from memory would be impossible unless I study it for hours before." They also said that "The great inventions of your time --- radio, television, nuclear power, and the airplane, for example --- are for the most part a result of this imprinting." Unconscious=here are "dreams" formed + memory. Conscious= information-gatherer for the whole mind- through it the five basic senses relay their impressions to the other levels. It is the control centre." Unifying level. =All-Mind, Almighty, Creator, God. About this last she said (extract) "All minds are as one, and the energies forming matter are a part of it likewise. The All-Mind controls the Universe to the limits possible. It does not know the future, and cannot cause predestination…| It can suggest, guide, and direct, but it cannot control." She also said here that nr4 above/ill.down is accessible by both nr 3 and 5. They said mind is a form of energy with a set frequency, different from any other. "While this frequency cannot be changed, there is another, a universal frequency, which can be turned on and off at will by the individual. It is on this frequency that telepathy occurs". 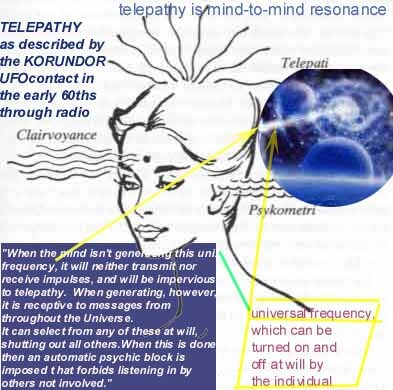 They also said that this universal telepathy on the universal freq.could not be tapped by any electronic means, and the callsignal used a form of mental paging -and many could be coupled together at the same time on this way. Both are beyond the range of the normal senses and without electronic help. And by the All-Mind no limits to knowledge existed as it encompasses all, and is aware of everything that happens anywhere in the Universe. "If a conscious mind should therefore wish to see at a distance, it need only work through the ultraconscious, requesting a view of a scene, etc." And on foreknowledge or prediction…"the All-Mind may project an image of what could very well occur if a certain pattern of events were to continue uninterrupted" - they told him through his radio at night 15September 1961. They similar meant that by the same All-mind one could make teleportation possible either by technical or a direct mindcontrol - then by converting the body to energy and -back. On the following radiocontacts they reported their observed increasing nuclear tension between USA and soviet, and they foresaw and warned of a crises, and also of supposed earthquakes around earth. They also said they would give much scientific information through him. On contact late in-61 they instructed him on converting his TV to intuning their ET-ship so he could also see them such. They also said that they would begin a "Subconscious imprinting - a gradual process of changing basic personality traits for aggressive ones from January 1/63 on a select few people". Another int.thing was bases to be constructed underground, in strategic places:4 in the United States, 1 in the Swiss Alps, and 1 each in Asia and Siberia." They said that they had planned 100+ such bases where humanlooking agents from the Alliance planets would be conditioned to the weather, gravity, temperature, and other factors. After receiving instruction in language, customs, beliefs, and emotional reactions of the populace of these areas, they were to be sent to their assigned areas to work undiscovered among the people to promote understanding, brotherhood and peace. And act as relays of information back concerning science, sociologistics, feelings, etc. "Under no circumstances will they reveal their true identity to your people." They foresaw our (then) soon testflights to the moon, and had thus decided to move their existing/visible surface-moonbases underground. And they informed that world leaders was planned to be contacted in-65 as a test if they would admit the contact. And as also other ufocontacts have told, they said that they would boycott our spaceprograms as long as those were in the mind of war-thinking: "..until you have outgrown your bad warlike instincts, and are ready to live in Universal Brotherhood." 6.jan he got the first pictures through after some adjustments from "them above". He had followed the Korendian’s building instructions faithfully, on a frequency-doubler circuit in the vertical oscillator section, providing exceptionally sharp pictures as compared to normal TV then, and he first got in a picture transmitted by an unmanned TV disc-craft 160.000 km up. Then she again spoke of the danger of the mad rearmament, and said they were working undercover behind the iron-curtain. She also talked like to confirm that such contacts as ex. VAL-THOR (frequency-raised level of Venus- link) operated on earth. They ended with telling they would travel back to Korendor for a time, and planned to be back in august same year. On first of aug.62 they were heard again via his equipment and talked on overlooking our spaceprograms, to see if they were on military intentions and threats to the other planets here. Now the master also spoke of how they had made difficulties for U.S. high-altitude nuclear tests, after deep discussions on this on their home planet beforehand -on possibly breaking the non-intervention law. They confirmed their bases were now ready here after advances, and that information from future spaceprobes "should not" reveal proofs for life out there, before earthpeople was ready for it. 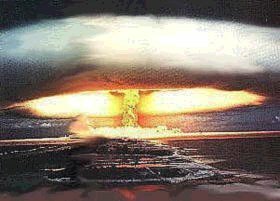 They again warned of a very high level of radioactive junk they had found in our upper atmosphere that "could seriously affect life if it were to fall to Earth. Further testing will push that level past the critical point, so that it would be lethal to those passing through it, or to those in its fall area, if it should precipitate".
" floor-to-ceiling panel of flashing lights, graphs, oscilloscopes, and screens of waving lines, changing patterns of light, and innumerable switches and knobs. Two girls were at a console to the left, apparently feeding information into it." He was also allowed to see the central control board as a long, curving console at which four men and three girls were working. They told him that the electronic apparatus on the entire ship was controlled from there - and more can be red in the cd-book. They claimed late in-62 that they had infiltrated strategic positions in military and society else - acting as catalysts: "Their purpose will be to stimulate your own people to do things in their own behalf. According to Universal Law, they will not directly affect the destiny of your world, country or people. They will merely assist you. You must act by yourselves. By 1965, all countries will have received the same treatment." They came with a very int.expl.on gravity/magnetism=the same force. "Investigate the properties of sub-atomic energies under the influence of the higher frequencies of radiation. At points, there will be resonance. This can be used either to generate or to negate gravitational flux, dependent on phasing. Experimentation will show how to control those angles of magnetism"
And they claimed this manipulation of the first Mars-Venus probes: the ETs manipulated the firstcoming data from them so that we could not reveal the LIFE there….but not later they claimed, and then it was up to our scientists here to find out!!? (But now - 40 years after this claim, Nasa talks about simple lifeforms on Mars for example, so THAT may be the predicted leakings..R.Ø.rem) And they said the air force had to admit the ufo-presence, or totally deny it. We know from history of last half of the century that the last won forth. 2. In earthyear 1784 to discuss planet "Khorellian" that was a problem in our galaxy as a piratlike planet. 3. In 1962 discussing EARTH! !-and then on how preventing atom catastrophe here. They said: "Scientifically we feel that you are nearly ready for admission into the Alliance. We are watching your work on gravity and magnetics with much interest. When you have solved the riddles of these forces to the point of being able to use this knowledge in your daily lives, then we feel that your scientific status will be more than sufficient for admission." "However, socially, culturally, and ethically, you are not sufficiently advanced. In fact, we note sadly that all your major progress in these fields seems to be away, rather than toward, the state of peace, love and brotherhood, which is the condition on all Alliance worlds." 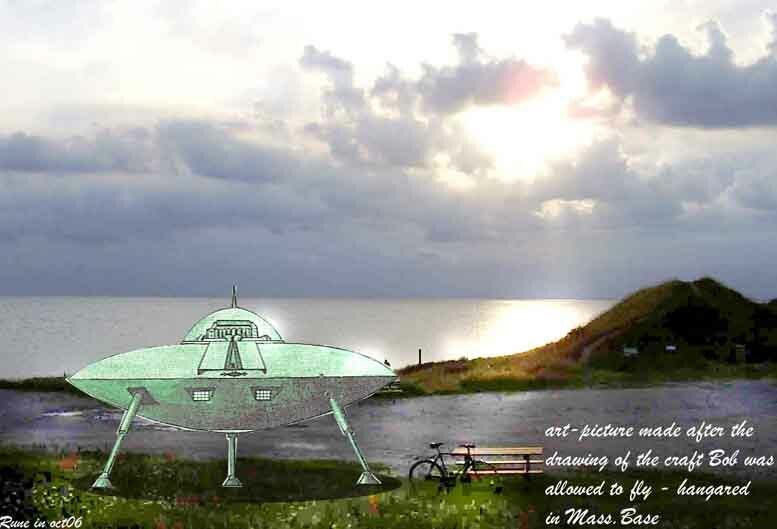 He got a mail in dec62 on the planned physical contact which happened when 4 of them arrived in a magnetic "hover-car" as agreed, and took him to a more hidden place. The 4 men looked as ordinary white people, with various haircolor and about or some higher than Bob who was 183cm, and lighter in weight than he was. One of the first things they demonstrated for him was an antigravity equipment that rose a big stone up in the air. They described the function of it and the technique behind gravitation as logic and scientific, so that alone is worth the price of the cd-book on the case. And not only that - they described in connection with this many technical problems of super high tech in a way that -I myself, as an engineer - intuitive feel is just exactly. Besides they demonstrated a very small laserlike "weapon"/device that melted big rocks, as a demonstration of the danger of this high-tech when misused. Radiocontact #18 from feb63 gave him their descriptions and ideas to make sketches on how they travel through 4th dimension as a shortcut for the long spacetravels - then "physical distances" are a minor problem. And they told "interstellar travel is really electronically controlled + "Interstellar communications signals are really transmitted in the Fourth Dimension to anywhere in the universe in 7.5sec". "With this type of communication, no corner of the universe is isolated. This type of quick messaging has led to a great under-standing among all people of the universe. Alliance or non-Alliance, since all are inhabited universes where there is SSR." In the same contact they told that the military knows "they" are real, and the wordleaders had been contacted personally - but no mention of by which method. Did they just "beam down" or did they "rang presidents doorbell" coming as common earthmen? And they spoke of how the powerpeople gags this info/press/media + the air force do ufo cover-up and deceive the public. They meant the truth would shake up the world when known - and that's just what the power/money-people/politicians are still afraid of. At last they underlined that they had weapons that could vaporize the whole planet, but of course not as a threat. The following contact was comments on the ongoing race riots at that time, and on suppressing blacks. In the20th they answered his many questions and told they had 150obs. ships here- most small unmanned discs. Ten was 15mdia ships, placed on 2 small motherships of ca 330m, designed specifically for recording data and carrying scout ships aboard. But they had ships in greater number on the moon. And they described their ships can not be screened magnetically by bending the light around it - so to be optical invisible, as ex the Erra/Pleiaren-ships could as the Meier contactpeople from the Pleiades/Erra claimed. But they described equipment to prevent radar-reflections. "We often read or hear of fantastic stops and starts, and sudden changes of direction. How can such tremendous "G" forces be withstood?" "Al-Kori speaking. Actually such spectacular demonstrations are more for show purposes than anything else. Certainly such feats cannot be duplicated by any of your own craft." "With the propulsion techniques we use, namely gravitic and magnetic, propulsion is provided from fields generated by equipment inside the craft." "Concerning magnetic propulsion: As you know, the planet Earth is surrounded by magnetic flux. It flows from south to north, since in reality the geographic South Pole is Magnetic North, as opposed to something called the North Magnetic Pole located in Hudson Bay." "When entering this field, automatic detectors determine the flux intensity and the direction of flow in relation to the ship. There are also many more factors which are involved for this type of discussion." "On Korendian ships, there are two sets of magnetic poles. One is vertical through the center of the ship. The other set of poles is on one of two rotating rings on the bottom of the ship." "The vertical set of poles repels the Earth’s field with sufficient force to cancel the effects of gravity, much as centrifugal force, so as to suspend it in the air. For descending we simply weaken it. To ascend, we strengthen it." "The poles on one of the rotating rings are used to travel in directions other than directly perpendicular to the field. These are automatically aligned by computer so that the Ring North faces Terran magnetic South, and vice versa. The poles are generated independently, and are variable independently or simultaneously, either in terms of strengthening or of weakening both together, or strengthening one and weakening the other." "The second of the two rotating rings contains a revolving field, generated by a heavy current whipping around in coils in this ring. This field can be reversed instantly by simply changing the polarity of the current." "About gravity propulsion we will say only this at this time. It relates to the resonance with atomic vibrations." "To return to your question, the interior of the ship is shielded by gravity screens which are an integral part of the ship, and affect everything within it. Thus when the ship accelerates, the entire area inside the grid accelerates with it simultaneously, as if the power were directly applied to every atom in the ship individually. In fact, that is exactly what happens." "This is NOT an inertial negator. There is no known way of eliminating mass short of conversion into energy. But it does give the effect of the entire ship being a homogenous mutually accelerating mass, somewhat equivalent to falling out of an airplane. In this case you would be accelerating at 9,81m per second, per second, yet I doubt very sincerely that it would have any tendency to drive your eyeballs into the back of your head. This is because gravity affects each and every atom simultaneously, as does our drive mechanism." "If it were not for the simultaneous acceleration of occupants and the ship, the occupants would feel a force which approaches a maximum value of 7,500 Gs. At this level, a man weighing 150 pounds would experience a pressure of 562 ½ tons! Obviously, this amount of pressure would not help one’s state of health!" They then said that crashes of crafts were rare - they mentioned 6 crashes since year 1800. Formation flying was synchronized from a carrier usually and faults in the Earth's magnetic field were a problem. The size of the ships in their federation was from 7,5cm to ca 4000km! !-This last made for explorations and also for evacuation of planets before totally disasters. -was formed in earthyear 1334. Had more than 5000planets in our galaxy as members. They discovered our earth ca 1959. They say the other planets here has life, but tell not exac.which. They say that our is the 3.high-siv.here on earth - as Lemuria and Atlantis was the proceeding - both destructed by wars. The ships under this alliance was donated to the cooperation and had crew from the same planet. There was a kind of friendly competition in getting new memberplanets to join the alliance, and esp Earth now. The alliance naturally has a policeforce called the Guardian Patrol. Their job=to protect the Alliance planets from hostile forces, and have free right to move to all planets and arrest possible criminals -which is very rare, as they claim not a single crime on the 610years. This is because all things are in abundance on those planets and they do not use money - but use produced TIME as a measure - not converting this time to money, which can be misused by others. They say that if WE HERE got this system, 95%i of the crimes would be eliminated!!! They meant that our United Nations would be a good start to make a world government -as also the Danish Wiseman Martinus already foresaw (in ca 1931) would happen in the future - after some time fellowing the BIG crises he foresaw coming "around the year 2000" as he expressed it. (M.had no formal education - only 6year in school and had a very deep cosmic experience in 1921- making him able to write many 1000pages in the fellowing decades on the theme LIFE's development in cosmos/eternity - but as it is from "old days" it has a kind of religious expression. link). In the next contact on 25th juli63 the contact Daman-Rel on KORENDOR told him of their economic system used in their federation. Free food, clothing and house/place to live (as luxury-homes here). Transport in spes.trains or like. But personal crafts were not. Communication- as small cellphonelike devises everyone had free. Their food was free acc.to a standard they had fixed. They had "synthetic meat" as " …we no longer butcher animals for eating. It is wasteful, and the meat is not 1/10th as nutritionally beneficial as the synthetics. Also, the synthetics are free of harmful elements… "
All of their production was automatic and thus no heavy manual labor. Quotation: "The only people really involved in industry at the present are the technicians and engineers required to keep the equipment in top condition. Maintenance of the actual machinery is by robots designed for the purpose, and all machines are, in turn, designed for ease of maintenance. The original factories are built almost entirely by robots under the control of computers programmed for that purpose." They could easy convert lead to gold so gold had no special value. 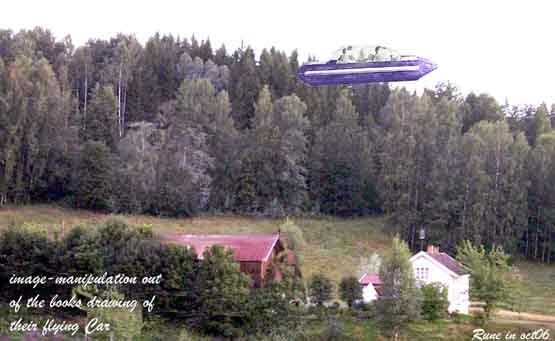 Their "cars" were magnetically propelled vehicles suspended over the roadways by magnetic repulsion. All purchases in the alliance were registered in big computers. There were many private corporations and none was ruled or controlled by government. They worked 6/20 of a day (>6.9h) 3days a week. (3/5 a week). 10holidays "paid" for in 100days worked. All could select jobs themselves as long as possible after qualification. - All education through tele-screen- transmitted to all the planets in the union from one learningcenter on a planet named Alitra. 15diff.channels- one per level. Equivalent 5h/day but only 2 "schooldays" out of 10. Can use as much time as needed for passing tests/examination>individual learning-tempo. Some then twice as quick as others. Tests then made home as the learning else - on an internet-like system. Plus courses to be borrowed from libraries which are impressed directly into the brain/subcons by electr.way. All "get paid" during all kind of studies. 4 men of Korendor-origin but apparent as normal amr.men came in a white ’53 Plymouth Fury and picked him up and drove some time to where they had parked a kind of flying car of their own origin from Korendor. They said it also had outfit to eliminate gravitywaves and could go up to some few kilometres high and had also pressure-cabin and autopilot. He got a demo-trip in the craft and a lot of technical data on it and descriptions on how it worked in many details, which can be found in the e-book. Last in this contact they repeated the warnings against the atom-race. In the next radiocontact 1.5month later he said he could now make contact to them by sending out a special electronic signal, as they also could beam a special wake-up signal directly to his "sleeping mind" at night - so he could get up and start the normal radio-way. In radiocontact 26-nov63 they talked about the "history" of war on our battlefield-planet. They warned that a new big war would be nuclear -and total devastating, and talked for support of UN and warned to discredit UN. Then as now the warmongers in USA were active, and they warned against them. And they already said 40years +, how these warmongers thought how gullible the common people were - as they still do - because for more than half a century they have now lied and coverupped everything important to know and the REAL facts/connections. And the KORENDOR people already then saw this danger and so they very strong gave warnings on this "let the government/powerpeople think for you". They - the people from Korendor said: "Once the people are aroused and demand to know truth, then the way will open up to influence the leaders of your country (in political, religious and social areas) to take the right action to being about the desired conditions of peace, Brotherhood, and abundance." Comment: yes, hopefully this will happen now gradually when we have got internet. Another thing the said here is very much misunderstood here. They claim, as other incarnated wisemen here on earth (ex Martinus), that we must unite as a WHOLE planet and make a world- government. This last is much misunderstood by many today, who believes that the darkpower/illuminati will succeed in this as a selfish play to get total control using us as slaves - well, comprehensible but.... They unfortunately don't see the spiritual plan and the evolution-way that planets fellow in a the BIG evolution. Yes - a worldgovernmnet will be made - but not ruled by these power/manipulation/bank-/khazar -people who now hidden behind steer the world today. They will be removed - same "as virus" are fight down in our bodies, by the REAL life-powers behind our planet - which is a living being - WHEN THEY HAVE OUTPLAYED THEIR ROLE HERE. Yes- in the same way as the virus' in our bodies will be removed and simultaneous strengthen our immune-defence. Be safe - EARTH also has an immune-defence against these parasite-powers which WILL BE removed when time is ripe. 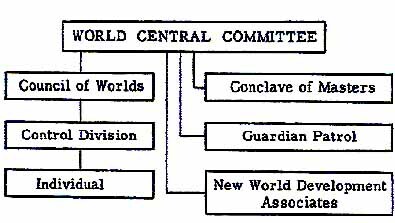 "Eventually the United Nations will be made the controlling force in your world government, according to the principles of Alliance government. With the U.N. forces taking over international policing, the vast amounts of energy, which have been squandered on militarism, can be turned to peaceful purposes. Manpower, which was formerly employed in warmongering, can be redirected into peaceful activities. Medical and scientific research will be given priority. Food surpluses will be eliminated by two means: 1. Shipping surpluses to the underdeveloped countries on the stipulation that they, in turn, will contribute to society when they become independent. 2. Production according to the consumers needs, by efficient management of farmlands and other food-producing facilities, keeping only nominal surpluses for emergencies." "In the more remote future, it is quite probable that your planet will unite with the Alliance, as your socioethical and scientific progress continues." This is the first ET-copy-case I have red about from the 60ths: they had copied his physical body atom for atom, and a replace-man got the job "to drive it" (this is not mentioned here, but as I see it: the body must have been entered by the replacers' astralbody - rø). This copy should then take his place while Bob was "away out there". Of course this may seem far out if one doesn't understand men's spiritual composition. Have red about some similar cases from 2 researched/studied contactees from Sweden - Ante Jonsson and channie west (info on both on scandinavian on same site here) - who both writes in their books on cases like this. I have met Ante, and he is definitely not a liar!! But this is naturally hard to understand for the most, esp.for those who believe that the consciousness is only a by-product of the brain. Well, they had done this because they should visit one of their under-surface/inside earth bases and so they claim to have done. It is described a kind of mechanical doors down to it, but those must have been well hidden by a kind of force to have remained undiscovered. Extract: "We (in the flying "car") quickly descended down through this form, and when we were below it some thirty feet, it swung closed above us with a whirring sound of electric motors. Orii-Val then pressed a button on the control board. A pair of doors opened in front of us and we glided through. We were now in a long tunnel of sorts, illuminated by a glowing strip of light on its ceiling. I was told this was over a mile long." Down there were big, long tunnels with conveyors in middle. They came into a room with 6m high white-glowing ceiling and white-green walls. There Bob got a check-security card and they rode on some magnetic cars to watch different things there. He could fx talk to and see his double at his home. Extract: " This is the Main Console, and is this entire planet’s direct link with Korendor, Arcturus, and other Alliance worlds. All the recent communications with Masters on other worlds, that you have experienced, were established right here. This unit links planets to bases, to ships, and to other consoles for reaching individuals. When Master Kalen-Li called you from Korendor, his voice went through a similar unit on Korendor, was received here and your voice went the other way. " There they also monitored all radio and TV signals that were sent out all around the earth. The entire base was done in a style so that the Korendor-people being based there should feel home: also fragrance-devices making feelings from woods on their homeplanet. The base had 6 levels/floors. "All of the generators or motor-generated sets are run by gravity. Half of the rotor is shielded from gravity, the other half exposed. The difference in flux causes a torque, quickly setting up rotation. The speed is varied by governors and the percentage of shielding." He was also shown an acclimation chamber where the Korendor-people could accustom to our planets conditions, as they had higher pressure, more oxygen and more G. And the most fantastic, lightfull living-rooms though with no visible lightsource - furniture as most beauty to think of. There he also met one of the wisemen/master who had talked to him on radio, and not least the beauty Lin-Erri. Short extract of what the master said: "By misusing the universal forces, you become their slaves and forfeit your mastery of them. Once this occurs, you are in deep trouble. Only a radical change of philosophy can reinstate the Right and the Good, and make you once more the sculptors of your destinies. You may think, for example, that you have mastered atomic power. My friend, you have NOT. It is ruling you, and you tremble under its shadow, afraid to move for fear it will annihilate you. " After 7,5h there - they left the base. Regarding underground bases: it is obvious to speculate if those have something to do with the claimed bases of the coverup-men/hidden power behind - that many writes about. One of them was Phil Schneider: from May 1995 - see "The Dulce Book" - Chapter 33. (also on google video) He was an ex-government engineer who was involved in building underground bases. Can it be that secret government found and occupied the up "claimed Korendor-bases" and expanded them by stolen high-tech?? Well - only speculation. Another claiming to have been on these secret gov.bases here - but he claims they have been built partly in cooperation with the ET-race that some thousand years ago evacuated to natural (empty volcano-tubes) and made via hightech; - such places inside the crust of earth. link to a short video clip of a low-flying craft taken in Russia?? / east Europe? in the early 90ths - this seem to be just similar to the personal/small Korendor -ship that Bob was sometimes taken into/used as drawn most down below. For mediaplayer.